Customer Attuned Ltd welcomes Mr Gary Lunt as new Board Director. London – Customer Attuned Ltd has appointed Mr Gary Lunt to assist with the commercial development of the business. 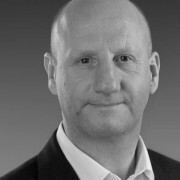 With Gary’s significant commercial experience with large companies such as Celesio, Diageo, Reckitt & Colman, Unilever and Cadbury’s, Gary can bring new insights and ways of working to Customer Attuned’s clients. Gary was previously the Group Sales Director for AAH Pharmaceuticals over a 10-year period during which time he orchestrated a number of highly innovative commercial solutions that led to the continuous financial performance of the company. http://customerattuned.com/wp-content/uploads/2016/05/logo.png 0 0 Ellie Luk http://customerattuned.com/wp-content/uploads/2016/05/logo.png Ellie Luk2016-09-15 09:34:142016-09-15 09:34:14Customer Attuned Ltd welcomes Mr Gary Lunt as new Board Director.